Switzerland Air offers complete heating services, including heating repairs in Lake Jackson, TX. Even though Texas isn’t known for its cold weather, we know that there are a few months of the year when you need a good heating system. When you need your heating system, you want to know that it will work. But if you need heating repairs or if you need heating replacement, your home might be cold during the winter. Call the expert heating technicians at Switzerland Air for all your heating installations and heating repairs in Angleton, TX and Lake Jackson, TX. 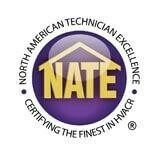 Our technicians are all NATE certified which means that they have years of experience and training working on all different types and brands of heating systems. We know that your home’s comfort is a huge priority for you—and it is for us too. That’s why we offer a 100% satisfaction guarantee for our work: if something goes wrong with any of our repairs we’ll make it right. Call us today if your furnace, boiler or heat pump needs any kind of service. If you need heating installation and replacement in Lake Jackson, TX call the experts at Switzerland Air. Even though your air conditioning system gets most of the use, your heating system will eventually wear out and need to be replaced. Call the friendly technicians at Switzerland Air. Switzerland Air offers complete heating repairs in Lake Jackson, TX. If you aren’t getting enough heating in your home or if it’s making strange noises, call us today. We can also set you up with regular heating maintenance in Angleton, TX. Boilers are one of the most popular heating systems in the country. If you’re interested in getting boiler installation in Lake Jackson, TX call the experts at Switzerland Air. Replacing your boiler with a new one can be a big project. Call the technicians at Switzerland Air for all your boiler installations in Angleton, TX. If your boiler isn’t producing any heat or if it’s making strange sounds, call Switzerland Air. We offer fast and top quality boiler repairs in Lake Jackson, TX. We can also set up regular boiler maintenance for you as well. Furnaces are a great way to provide comfortable and efficient heating for your home. If you need to have a new furnace installed at your home in Lake Jackson, TX call the experts at Switzerland Air. We can help you find a new furnace that fits your home and your budget. Call us today. While you may use your AC system more often than your furnace, you will eventually need to repair it. For all your furnace repairs call the technicians at Switzerland Air. We can also help you get started with a furnace maintenance program. Furnace maintenance is a great way to potentially reduce the need for furnace repairs. Call us today to learn more! Heat pumps are one of the best ways to provide good heating and cooling for your home. If you need heat pump installation in Lake Jackson, TX or heat pump replacement, call Switzerland Air. If you have a heat pump, then you likely will eventually need heat pump repairs in Lake Jackson, TX. At Switzerland Air, our friendly technicians can help you get your heat pump back up and running quickly. Call us today! The thermostats in your home monitor the temperature and control when your HVAC system turns on or off. If you need thermostat repairs in Lake Jackson, TX it could present itself as insufficient heating or cooling. Call us today to talk with one of our friendly thermostat technicians.